1. Blog with your interpretation of God's fingerprints. 2. Be sure to link so others can find the entire list of participants! Go over to PamperingBeki's blog to add your link to the list of participants. 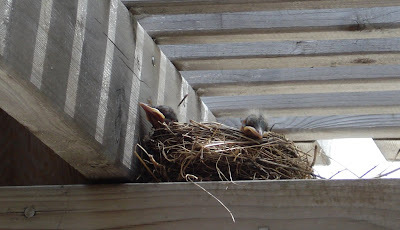 Baby robins...Small, helpless, totally dependent. Heavenly Father, help me to remember that I am totally dependent on YOU!